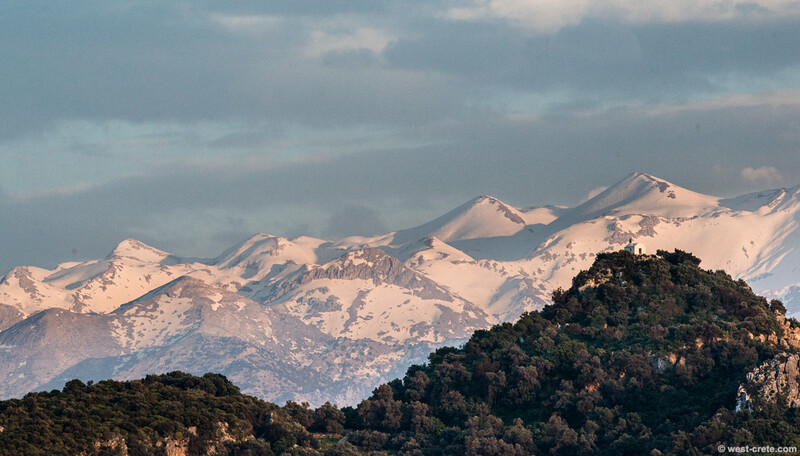 Regular visitors of the 'Daily photo of Crete' will be familiar with this view of the White Mountains. It's taken from my office and shows the northern slopes of the White Mountains with the chapel of Agios Giorgos (near Vrysses, Platanias) in the foreground. What's highly unusual are the quantities of snow still left on the summits in the middle of April.